Spring is finally in the air, and the excitement of new life is everywhere. Synonymous with the arrival of spring is cleaning…a time where the dust gathered in the winter is swept out, and fresh air is brought into the home. However, one chore nobody seems to enjoy is cleaning the blinds. 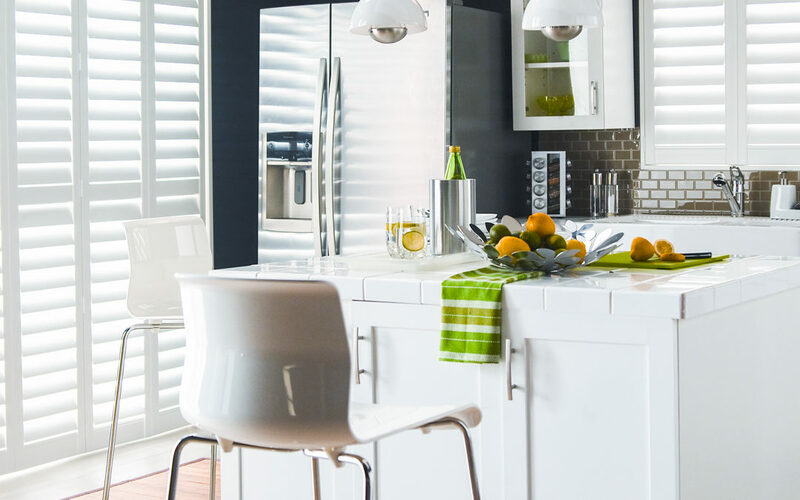 It’s annoyingly time-consuming, and because there are so many different kinds of blinds, it can be hard to know if you’re even doing it right. Here is a comprehensive guide on how to get all of your blinds clean in one day, getting this notorious chore done quickly and effectively, so you can move on to the better things and enjoy the beautiful spring views framed by the loveliest of blinds. Faux-wood blinds are one of the most popular types of window coverings in our modern day world. They also attract a ton of dust. If you find that your faux-wood blinds are dusty, simply using a vacuum with a dust brush attachment will make cleaning them a breeze. Just close the blinds all the way, vacuum the first side, then turn them the other way and vacuum the other side. Make sure that the suction is on its lightest setting so you don’t accidentally warp the slats. effectively remove the grease and grime, and your blinds will be left looking fresh, all without the use of any harmful chemicals. Most wood blinds are treated with a special finish to repel dirt and stains. Just like wood furniture, wood blinds can be cleaned with a good quality furniture polish and a clean sock. Simply spray the furniture polish on the cloth and wipe each slat individually, being sure to avoid touching the cords. If heavier cleaning is required, you can use plain water, just be careful not to saturate the wood. Be sure to wipe any excess water immediately to prevent unsightly warping, discoloration, or warping. Vinyl or aluminum mini blinds can be treated like faux-wood blinds and be cleaned by dusting and washing with a cloth. However, if there is greasy grime in addition to the dust, this can become quite time consuming. If this is the case, take each set of blinds down one at a time and soak them in your bathtub with some dish soap. Using a soft sponge, go over both sides of the slats. After soaking, drain the dirty water and refill the tub with clean water to rinse them out. Make sure to rinse away all of the soap suds to avoid any spotting. After rinsing, gently lay the blinds on top of some dry towels to soak up some of the remaining water, then hang the blinds back up to allow them to dry completely, opening your windows may help them dry faster. Once your aluminum blinds are clean, you can treat them with a dusting spray to prevent any future dust and dirt from settling on them. To clean and dust fabric shades and coverings, use the dust brush attachment of your vacuum on a low setting as you vacuum and brush away any dirt. You can also do this with a hair dryer that is set to cool by using it to blow away trapped dirt, bugs, or spider webs. Any existing stains or grime on these types of blinds can be treated by using a sponge that is dampened with warm, soapy water. Use a gentle soap to prevent damaging the cloth. Just gently blot the area as necessary, but be careful not to oversaturate. Be sure to allow the shades to dry completely before raising them. Cleaning vertical blinds is very similar as cleaning the ones listed above, depending on whether they are fabric or vinyl. A lint roller may be helpful to easily roll over vertical blinds picking up dust and cobwebs along the way. After you have cleaned out your blinds, you can keep them looking fresh and clean by making it a habit to vacuum and dust around your home regularly.